A major bank announced today that it is scrapping plans to create 250 new jobs in North Carolina over a controversial law that critics say discriminates against lesbian, gay, bisexual and transgender people. The law, HB2, was passed March 23. 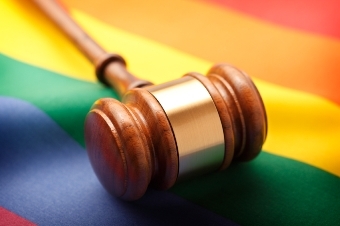 It invalidated existing protections for LGBT citizens in some North Carolina municipalities and prevents any municipalities from adopting such protections in the future. Deutsche Bank had planned to expand its software application development center in Cary, N.C. The center currently employs about 900 people. But the bank has announced it will freeze plans to add new jobs in protest of the new law. Deutsche Bank is the latest of several companies that, in the wake of the passage of HB2, have canceled or frozen plans that would have brought revenue or jobs to the Tarheel State.